I recently fell in love with model Arizona Muse. She has such a beautiful face and her eyes just draw you in. Love the make up at Nina Ricci as well. 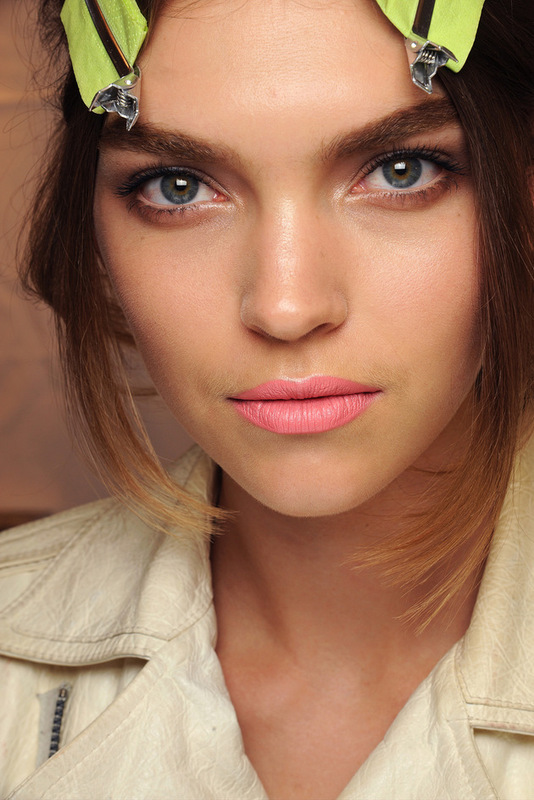 Kind of want to try the peachy pink lip! Wow,It's really a beautiful girl!!! fantastic photographs. so different. her eyes are so vibrant. the lip stick is amazing!! why can't I ever find an amazing color like that...where I don't have to end up mixing 2 colors 2gether to get it!!?! her lip hair is actually cute on her. Ok so before I really wasn't bothered about her but these closeups are amazing. in love wit her! shes amazing and gorgeous! definitely one of my favorite models!